What if you had a comprehensive education on money and wealth since the time you were a teenager? Every adult knows that understanding how money works is one of the most important skills we can possibly have. There’s only one problem–it’s not taught in school! Personal Finance Blogger Karthigan Michael Srinivasan of StretchADime.com and Kyle A. Davis, Chartered Financial Consultant® and owner of Integrity Financial Group have assembled a simple-yet-complete guide to learning all of the basics behind personal finance, including how to understand and avoid the crushing debt problems facing today’s students. This book is designed for the high school level–but relevant for all ages. Inside, the reader will gain an unfair advantage over other students and set them on the right track to be able to make smart and informed decisions about money by the time they earn their high school diploma! 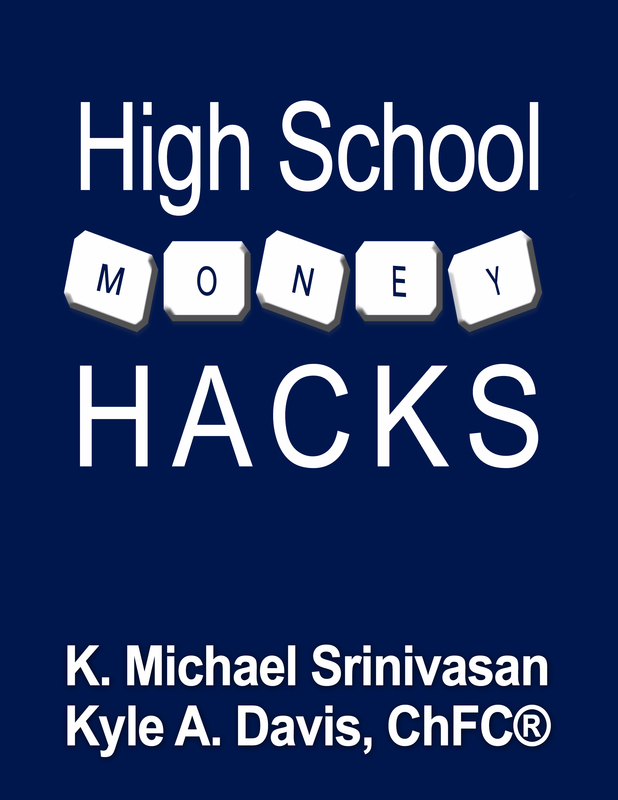 If you are a school or university, you can receive the electronic edition of “High School Money Hacks” at absolutely no cost. Yes, it is free. Please request a digital version of the book via the contact form below. “A great tool to learn the basics and provide a head start to financial success. Packed with important facts, knowledge and examples to get you started on the right path.” — Michael F. Kay, CFP®, President, Financial Life Focus, LLC. “These are the concepts that we are continuously trying to get across to the people sitting on the other side of our desk. All in all I think it is excellent! .” – Nicholas Randazzo, President, North Shore Capital Planning. “The authors break everything down in simple-to-understand examples that help inform my day-to-day financial behaviors in an enjoyable way.” – Chad Coup, University Instructor.